STM has employed a retro look for its new Annex range of protective tablet and notebook bags, steering away from the slightly more professional appeal of its Velo and Linear arsenal. The product line includes four models: Drifter, Trust, Link, and Sequel. They essentially look like something you would find in Cotton On, but maintain STM’s emphasis on padding to keep your electronics safe. Each bag comes in three colours: Olive (which looks more like army green), charcoal (more towards grey) and red. We got our hands on the $149.95 STM Annex Trust which is a shoulder bag designed to fit screens of up to 13.3 inches in diagonal diameter; a slightly larger version is available for 15-inch devices at the same price point. 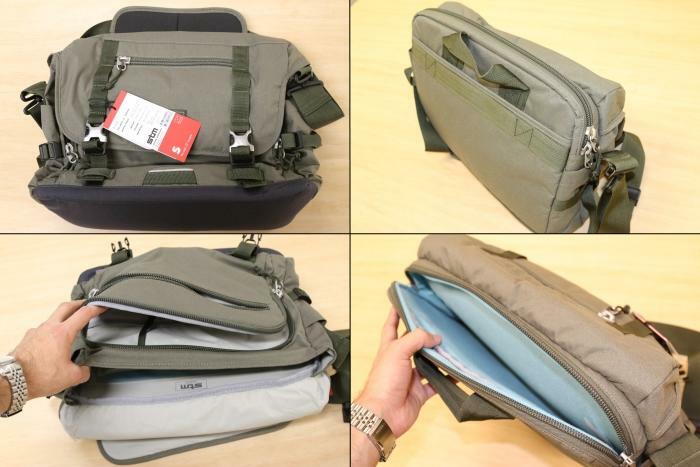 Exterior aesthetics aside, we found the Trust to be very similar to STM’s Velo 2 M (medium) laptop shoulder bag. Part of STM’s appeal is its knack of loading its bags with compartments, and Trust has no shortage of these. Trust’s dedicated laptop sleeve is accessed via the top of the bag (facing the body and accessible via zipper). It has about 10mm of padding on all sides including the bottom. The bag’s main storage compartment (under the flap) contains plenty of room to store an array of chargers, a small umbrella, a few notebooks, a jumper, and even a sandwich with space to spare. It incorporates a selection of differently-sized sleeves to keep your things organised. There is also a smaller compartment in front of the main one which has its own zipper and is ideal for smaller articles, stationery, and passports. The STM Drifter is a protective backpack which can store device of up to 15 inches in its padded compartment, and has the most extensive storage options of the Annex range. It has a bottom zip pocket that holds a detachable rain cover for that extra bit of protection. The Drifter carries an RRP of $169.95. The Sequel bag is a more basic, briefcase-style bag for carrying the essentials: laptops, tablets, documents, cords, and chargers. It is available in 13- and 15-inch variants for $99.95. STM’s Link is the dedicated tablet bag of the lot for devices of up to 10 inches. Despite its small form factor, it will still fit quite a bit; in addition to a tablet, you can get away with a book, keys, phone, charger, and compact camera without a worry. 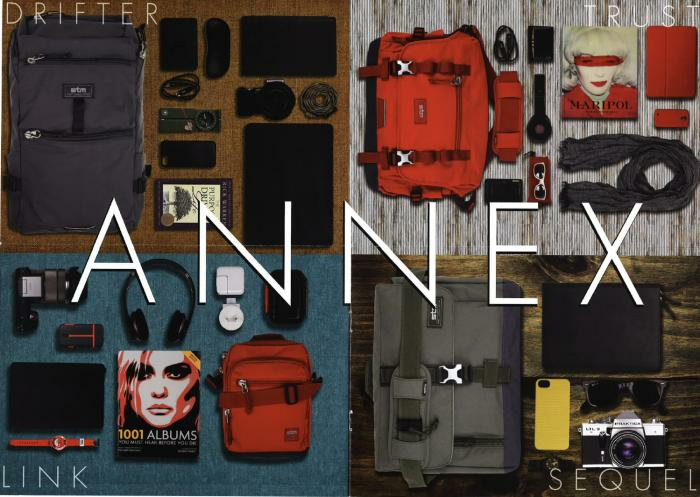 STM’s Annex range goes on sale from April 20, and will be available via its web site or through the company’s retail and distribution partners.